They're more commonly seen in HK in Autumn (August/September) than spring, but we might get lucky this Sunday. If you don't go, you'll never know ! March is the month in Hong Kong when our "Red Hot Poker" * trees are in blossom. 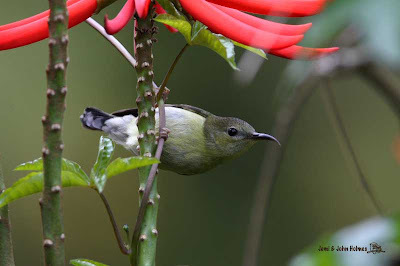 Apart from the blossoms the trees are quite bare, so it is the best chance to see and photograph our resident sunbirds. These pictures were taken in Tai Po Kau Nature Reserve, but Fork-tailed Sunbirds are widespread. * For any tree fans who may have dropped in : this tree is actually Erythrina speciosa , native to South America. 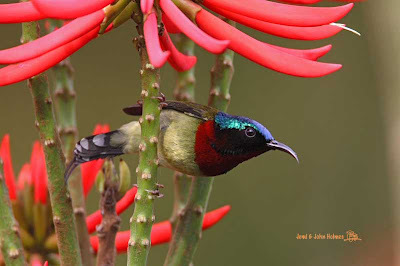 Did you know Forktailed Sunbirds were first recorded in Hongkong in 1959 ? 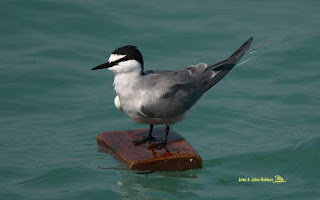 Completed the 24th Hong kong WWF "Big Bird Race" yesterday as a "Jebsen Holidays Wandering Tattler". Many Thanks to Jebsen for our Team sponsorship. They sponsored TWO teams in this years' race! The Tattlers were Gavin Cooper (Captain), Andrew Young, Tim Woodward and Roger Muscroft. And me. We saw (or heard) 157 species, which put us third, the winners were the "Professionals" who scored 162, and won the most important prize, the one for raising the most money. 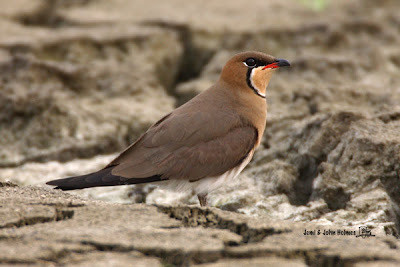 Our first birds were at 1700hrs on Friday evening on Pond 77 at Tsim Bei Tsui. 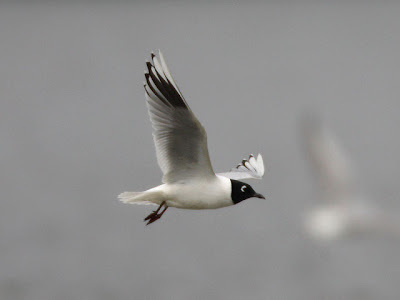 We had a nice breeding plumage Saunders's Gull there, so we were off to a good start. The 157th bird was Chinese Spotbill on pond 8 at Mai Po Nature Reserve. Here's a picture of Saunders's Gull I took a few days ago.